Doors 6 p.m. | Dinner 6:45 p.m. 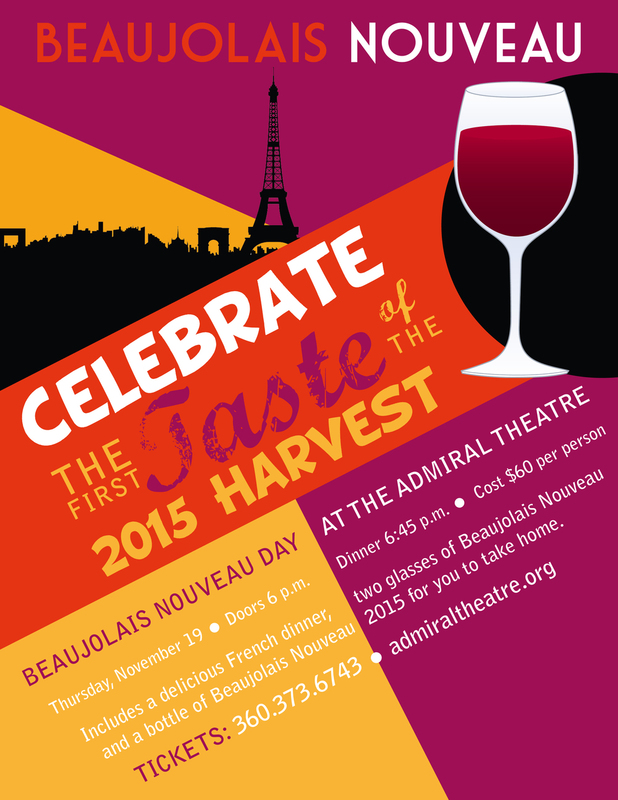 Celebrate the first taste of the 2015 harvest! 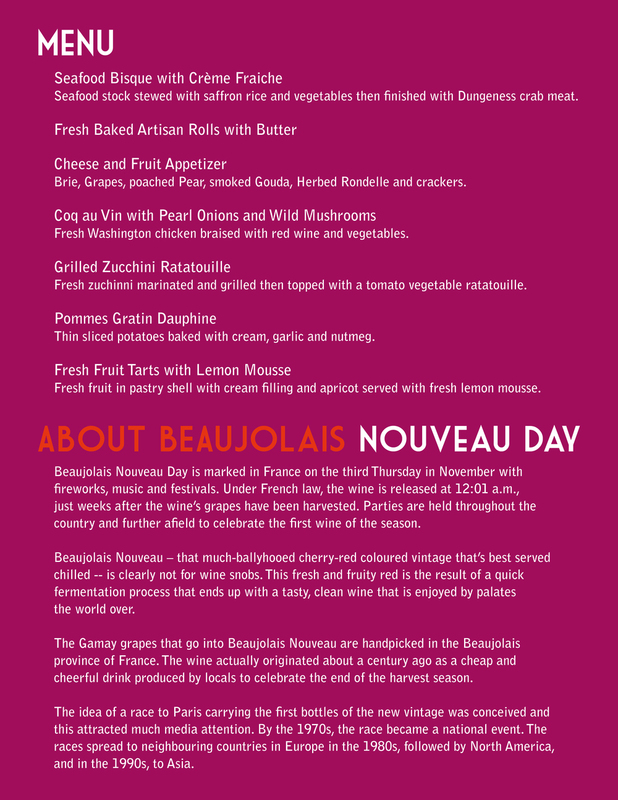 Includes a delicious French dinner, two glasses of Beaujolais Nouveau, and a bottle of Beaujolais Nouveau for you to take home. Seafood stock stewed with saffron rice and vegetables then finished with Dungeness crab meat. Brie, Grapes, poached Pear, smoked Gouda, Herbed Rondelle and crackers. Fresh Washington chicken braised with red wine and vegetables. Fresh zuchinni marinated and grilled then topped with a tomato vegetable ratatouille. Thin sliced potatoes baked with cream, garlic and nutmeg. Fresh fruit in pastry shell with cream filling and apricot served with fresh lemon mousse. just weeks after the wine’s grapes have been harvested. Parties are held throughout the country and further afield to celebrate the first wine of the season. cheerful drink produced by locals to celebrate the end of the harvest season. The idea of a race to Paris carrying the first bottles of the new vintage was conceived and this attracted much media attention. By the 1970s, the race became a national event. The races spread to neighboring countries in Europe in the 1980s, followed by North America, and in the 1990s, to Asia. Doors 4 p.m. | Event 5 p.m.